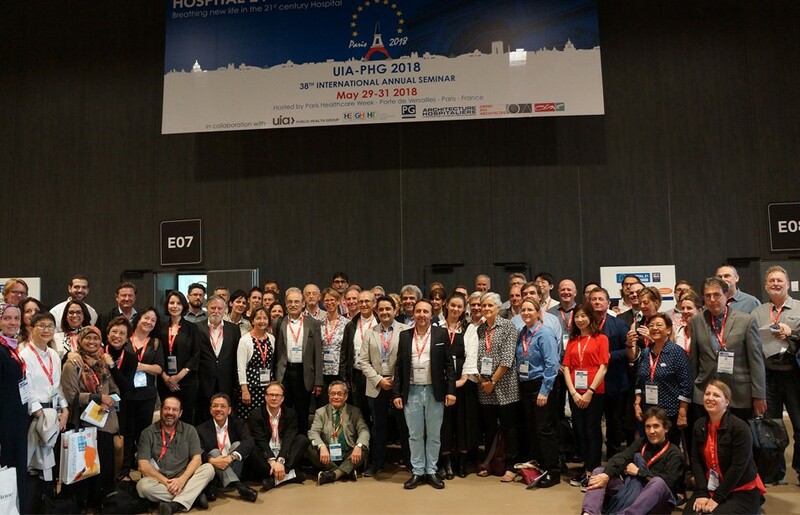 The 38th International Annual Seminar of the UIA Public Health Group, from the 29th to the 31st May of 2018 in Paris, France, has been a major success. Hospital 21 was a good event thanks to everyone involved, the organisation, and the speakers and attendees. We would like to thank you all for coming an making this seminar a good exchange zone. The UIA-PHG Seminar aims to share our knowledge from architects to architects, either students, professors, anyone. That is what makes this Seminar a highway for sharing and to broaden our perspective.